The Brexit vote in parliament is very difficult for Labour, Keir Starmer admitted today as MPs began a lengthy debate on the bill. With expectations that a significant number of Labour MPs will vote against the bill, in defiance of a three line whip, Starmer appeared to reach out to backbenchers and said he understood the dilemma of those who represent heavily Remain-backing constituencies. Last week Jo Stevens and Tulip Siddiq resigned their frontbench positions to vote against the bill. Today Starmer told Tory Leave campaigners not to “gloat” and set out Labour’s position on the Brexit bill. “We share values and identity with the EU. But we failed to persuade, we lost the referendum. Yes, the result was close, yes, there were lies and half-truths – none worse than the false promise of £350m a week to the NHS,” he said. “Yes, technically the referendum is not legally binding but the result was not technical – it was deeply political. And politically the notion that the referendum was merely a consultation exercise to inform parliament holds no water. 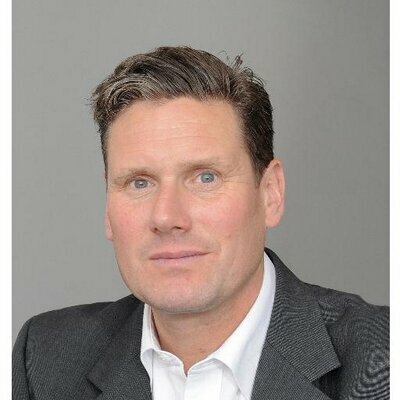 Starmer also asked why the government is not guaranteeing Britain’s membership of key European agencies, which exist to protect the environment, approve new medicines, regulate atomic energy and work to solve organised crime. His concerns echoed the question posed by John Woodcock, MP for Barrow and Furness, who expressed his fear that a British departure from the Euratom treaty, which set up the European atomic energy community, could risk jobs in his Cumbrian constituency. David Davis, the Brexit secretary, seemed to express sympathy for Woodcock, when he said the backbencher was “absolutely” right to raise concerns. Kate Hoey, the MP for Vauxhall who campaigned for Brexit, called for people to stop talking down to Leave voters. Angela Eagle, a former minister, described it as “astonishing” that the government has not published a white paper on its plans for Brexit.